A strand of spaghetti snaps easily, but an exotic substance known as nuclear pasta is an entirely different story. Predicted to exist in ultradense dead stars called neutron stars, nuclear pasta may be the strongest material in the universe. Breaking the stuff requires 10 billion times the force needed to crack steel, for example, researchers report in a study accepted in Physical Review Letters. "This is a crazy-big figure, but the material is also very, very dense, so that helps make it stronger," says study coauthor and physicist Charles Horowitz of Indiana University Bloomington. 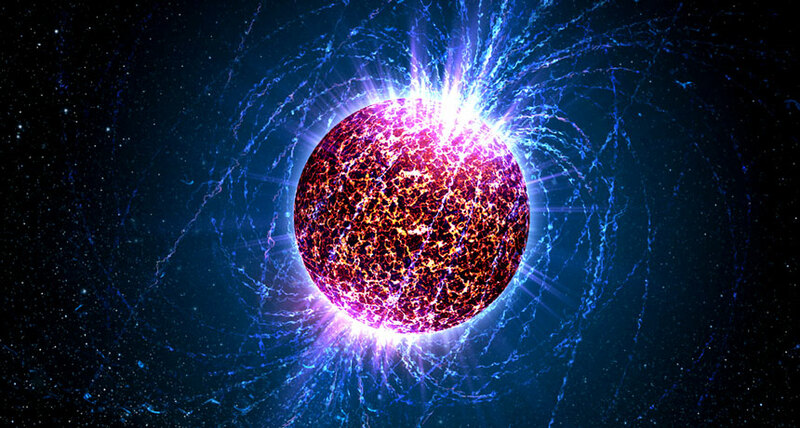 SAbout a kilometer below the surface of a neutron star, atomic nuclei are squeezed together so close that they merge into clumps of nuclear matter, a dense mixture of neutrons and protons. These as-yet theoretical clumps are thought to be shaped like blobs, tubes or sheets, and are named after their noodle look-alikes, including gnocchi, spaghetti and lasagna. Even deeper in the neutron star, the nuclear matter fully takes over. The burnt-out star's entire core is nuclear matter, like one giant atomic nucleus. Nuclear pasta is incredibly dense, about 100 trillion times the density of water. It's impossible to study such an extreme material in the laboratory, says physicist Constanca Providencia of the University of Coimbra in Portugal who was not involved with the research. When atomic nuclei get squeezed together inside a neutron star, scientists think that globs of nuclear matter form into shapes reminiscent of various types of pasta, including gnocchi (left in these simulations of nuclear pasta), spaghetti (middle) and lasagna (right).